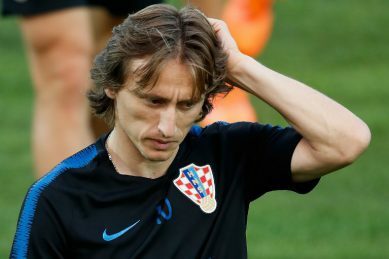 Croatia captain Luka Modric said being awarded the Golden Ball for the World Cup’s best player was “bittersweet” after losing the final 4-2 to France on Sunday. With the World Cup now over, let us reflect on arguably the best thing to come out of it, other than France’s victory. 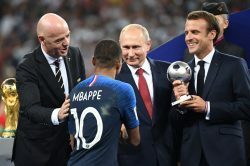 President Vladimir Putin said Russia could be “proud” of its hosting of the football World Cup, judging it a success “in every respect” after Sunday’s final. 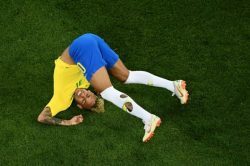 Croatia coach Zlatko Dalic said his side had run out of luck after they conceded a controversial penalty awarded by VAR in the 4-2 World Cup final defeat against Franceon Sunday. 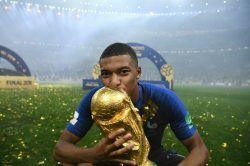 France’s teenage sensation Kylian Mbappe said sleep was the last thing on his mind after Sunday’s World Cup final triumph. 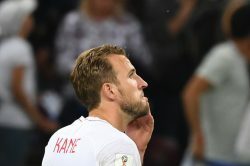 England’s Harry Kane won the World Cup Golden Boot award as top scorer with six goals. 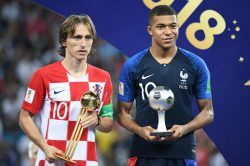 Croatia captain Luka Modric won the Golden Ball for the World Cup’s best player despite losing out 4-2 to France in a thrilling final in Moscow on Sunday. 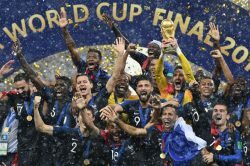 France beat Croatia 4-2 in an incredible World Cup final in Moscow on Sunday. France finally have a second star on their shirts after being the most consistent team in a goal-drenched tournament. 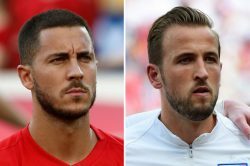 Croatia face France on Sunday attempting to win their first World Cup while Didier Deschamps’ side are aiming to land their second title two decades on from their triumph on home soil. 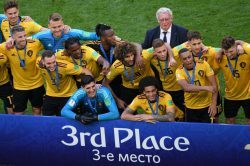 Belgium achieved their best World Cup finish as goals from Thomas Meunier and Eden Hazard secured a 2-0 victory over England in Saturday’s third-place playoff in Saint Petersburg. Luka Modric has taken an extraordinary path to the World Cup final – from fleeing his home as a child during Croatia’s war of independence to global superstar status. 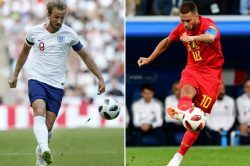 Belgium and England will clash for the second time at this summer’s World Cup when they meet in Saturday’s third-place play-off. 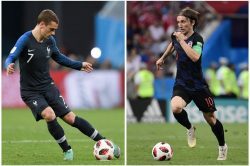 France forward Antoine Griezmann said Friday winning the World Cup against Croatia on Sunday was more important than how his team do it. 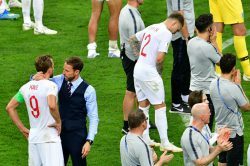 England manager Gareth Southgate admits the World Cup third-place play-off is a game that no team wants to play, but Saturday’s match against Belgium offers the chance to finish the tournament on a winning note. 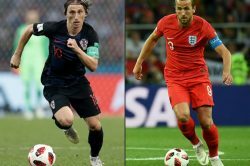 Croatia coach Zlatko Dalic admits his team were spurred on by what they saw as a lack of respect towards them in the English media as they won 2-1 in Wednesday’s World Cup semi-final. Here are five things to know about the country that on Sunday could become the ninth to have that hallowed star embroidered above its national crest. 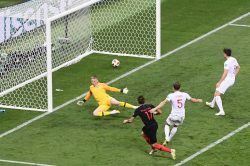 Ivan Perisic said his equaliser that helped Croatia come from behind to beat England 2-1 after extra time and reach the World Cup final was a goal that “he could only dream of” as a child. 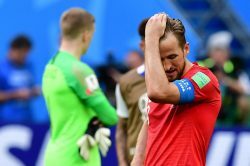 England captain Harry Kane could not hide his desperate disappointment after his side’s 2-1 extra-time defeat against Croatia in the semi-finals of the World Cup in Moscow on Wednesday. Mario Mandzukic scored the winning goal deep in extra time as Croatia beat England 2-1 in an utterly gripping World Cup semi-final in Moscow on Wednesday to set up a final date with France. 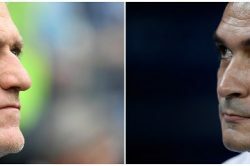 Both sides have waited patiently for their turn, each experiencing heartbreak in prior editions since they last appeared in the final four.